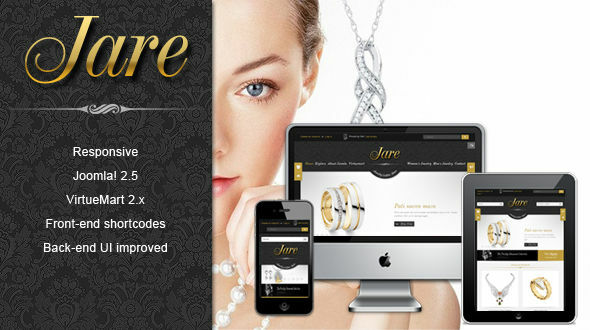 SJ Jare - is new Joomla! 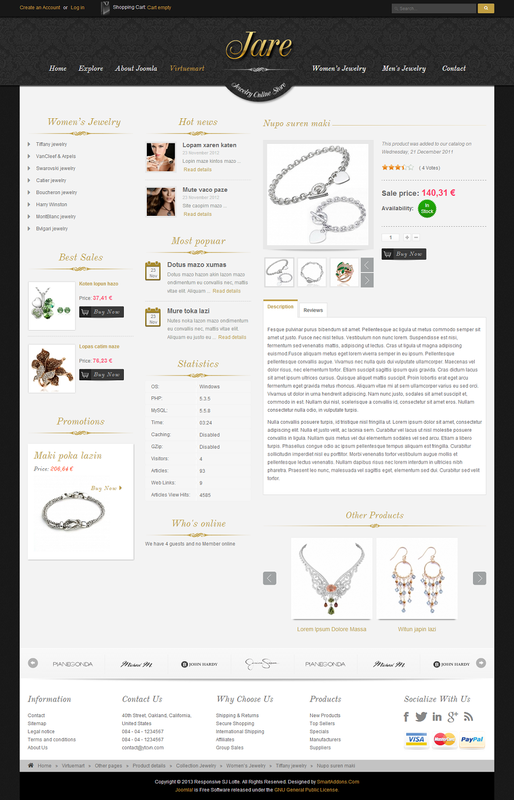 responsive template, with support for Joomla! 2.5 and VirtueMart 2.x. 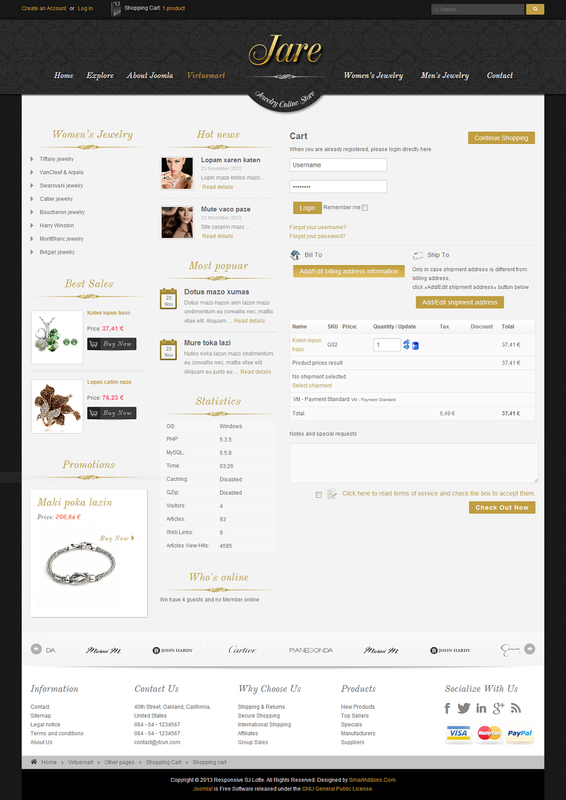 It has short-codes feature, which we have just implemented for our templates. First time using, it is unique and interesting to style content without much coding. 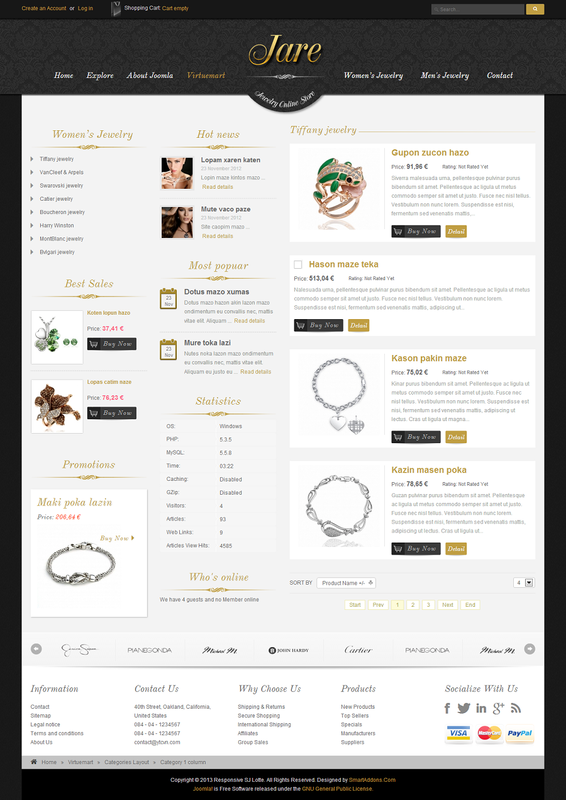 We used Content and VirtueMart component in template core, allowing you to offer power of e-commerce system VirtueMart and stability of default content management. 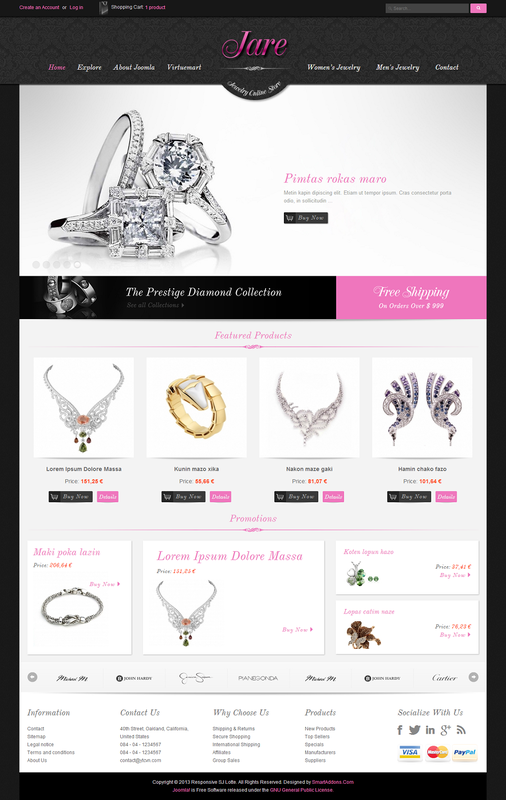 You can use VirtueMart for shop and Content for blogging about products. By using the powered C-panel we can change any parameter right in front-end. Besides, back-end UI has been improved so that you will be always notified of new version with many additional parameters. Luxurious design is used specifically for high-end products such as jewelry, perfume or concepts… With responsive web design layout, this template is for any display devices.